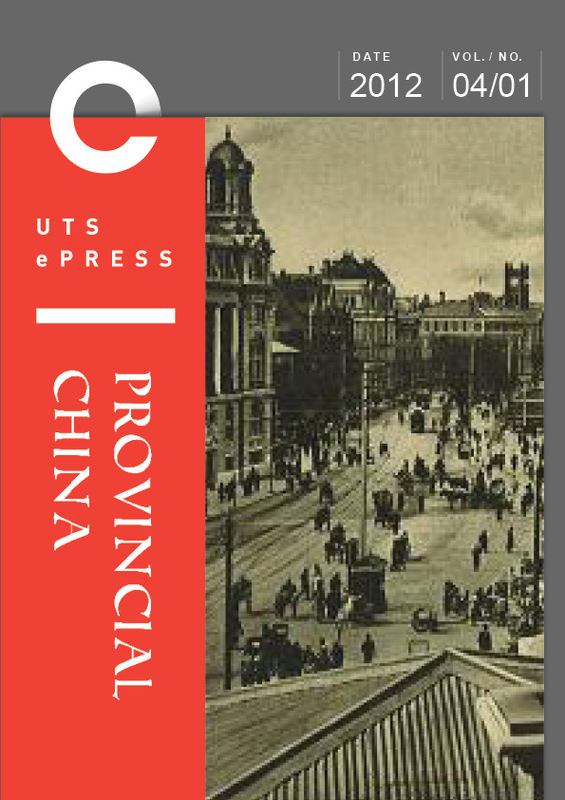 Provincial China is a peer reviewed journal publishing research on the contemporary People's Republic of China. Research in this field needs to address the consequences of the inherent variation in social and economic development across the country. During the reform era, in particular, as the provincial-level political and administrative hierarchy has increased in importance, and with new emphases on provincial and local identities, research needs to focus less on the centre and more on regional and local developments and diversification. This is the particular perspective of Provincial China. Provincial China contains sections on statistics; theoretical perspectives and discussion; news of projects in progress; professional activities, conferences and workshops; information about sources, documents and materials; ideas and information about provinces in general; and photos. This journal is no longer accepting submissions. It ceased publication in 2012.